Installing home security cameras can be one of the best investments parents can make for their growing family. While there is just no valid substitute for personally guarding your children, busy and on-the-go parents can make the necessary precautions by installing surveillance cameras to protect them against harm and threat. There’s a saying that to be an effective parent, a third pair of eyes at the back of your head may be handy for keeping a watchful eye on your kids. Small children are especially a handful, for their natural curiosity and strong motivation to explore the world around them. Hence, parents will maximize every help that they can get in ensuring the safety of their children. Home surveillance cameras allow you to keep a track of your children as they play outside. These cameras can alert you in case someone is leaving the house; as well as when someone is fast approaching – be it a guest or stranger. During extreme weather conditions, security cameras can alert you if a part of the house was affected by the storm or flood. Home security cameras can be wireless and hidden; in order for you to secretly monitor the behavior of the caregiver you hired for your baby or children. While your baby is sleeping, you can attend to your tasks in the other rooms of the house while monitoring their sleep. While you’re away, you can maintain on-time; real time monitoring by hooking up to your wireless home security cameras via Internet on the laptop or your mobile phone. On the unfortunate incident of an unpreventable crime. Home surveillance systems can help identify the intruder; pursue a case against them, and deter possible future crime makers. 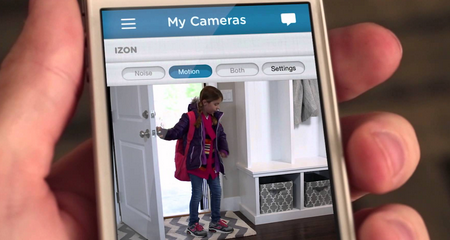 Home security cameras are the ultimate gadgets for a truly high-tech and mindful parenting. Properly installed, they can avert threats and accidents in your home. Through these highly alert surveillance devices, your property and your family are kept safe and protected at all times. When we hired a nanny to take care of our toddler, we decided to install a camera so we can monitor them remotely. I have to admit that I was a bit scared at first because if it’s the nanny from hell, I would be seeing the bad things on live cam! Fortunately, she’s great with my kid and she’s a keeper. Although it’s a little pricey to have a home security camera, I really think it’s worth having it because if something bad happens, there’s evidence to help identify and apprehend the suspects. When kids’ safety is involved, you forget about price. Every parent would agree that the children’s safety is a top priority. As a parent, I do worry about my kids when they are at school or someplace else. That part, I have no control of. It’s only at home that I can have a bit of control when it comes to their safety. We have a security camera set up so outside and inside. This way, we’ll be alerted when there’s an intruder. And if they are under the care of a babysitter, we can monitor them remotely. I can’t overemphasize the fact that having security cameras at home can give you a peace of mind. For households with kids, little ones especially, a security camera with updated features should be installed. Safety of kids and every family member (yes, even pets!) should be the topmost priority. If you ask me, I’d get a package that includes real time monitoring that can be accessed via mobile devices. Home is probably the safest place to be in, but we can’t be complacent these days. We need some form of protection and at this point, security cams do the trick. Surveillance cameras and DVRs always come good when it comes to your kid’s safety. No price is too much to keep your family safe, and yet it is important you go for the right (and not the most expensive) product. I opted to shop digital video recorders and cameras online, and I am happy to have found some really well reviewed units at good prices. 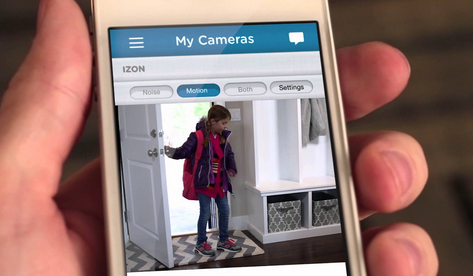 Thanks to these home security setups, I can rest my concerns over the safety of my kids. My Husband and I came across your site while we were researching security cameras for our new home online. We needed a security camera system that could be linked with our other home automation gadgets. We had a very positive experience with the reviews and we opted for one with your guide. So far, we’re very satisfied. Thanks! Can someone suggest a security camera I could easily use to monitor my kids when I am not home? I would prefer a system that is not so bulky and easily overlooked so people wouldn’t notice its actually there yet does its job. Thanks. @leesha, I understand your need clearly. you should consider the Dropcam security camera. it is reviewed someplace on this site. I hired a baby sitter to watch after my kids while I was at work. Since my wife is no longer with us, I am a single parent now and needed the help. Both of my kids were complaining about some things she was doing and she had a great cover story to make me believe my own kids were lying. I installed some cameras without her knowing and watched when I was at work. She had 2 strange men over and it looked like they were smoking pot in my back yard. Glad I busted her. If you have a baby sitter, having cameras are well worth the money. I spent many years in a bad neighborhood. Not knowing if my kids were safe drove me nuts. Now that we live in a better area, I still worry so I got some cameras installed. I can’t tell you how much better I feel knowing I just just check my phone anytime and see the house is safe and the kids are okay. Are these kind of systems easy for kids to work? I ask because my wife will be out of the country for a few months and I work full time. My 2 daughters will be home alone for several hours daily. One is 10 and the other is 13. I just want to make sure they know how to work the security systems and cameras before I opt in to getting some. Not the easiest for kids to work under the age of 10. If your 13 year old has a smartphone then yes, the apps connected to the security cameras work well and easy. However, we would recommend you expect this to be for adults only to keep track of your kids and what is going on in the home. We have a 12 year old and a 16 year old and my husband installed a home security camera and I can occassionally peek at what they are doing while I’m at work. I think it gives parents peace of mind. We also have a dog so it’s nice to be able to check in on him as well. It is summer time now so the kids are always at home, and I want to see if they bring anyone over or are doing anything they shouldn’t be. No shame, I am a parent that needs to know what my children are up too! I don’t have any kids at the moment but I use a home security camera to check in on my dog while I am at work. It’s really neat to check in and see what he does while I am gone. The verdict is out, all he really does is sleep and sometimes walk around just to find a new spot to lay down.